At FITT 1ST we are passionate about the sport of cycling and believe that in order to enjoy this wonderful sport to its fullest, you need to be comfortable above all else. Whether you are a weekly commuter, a dedicated charity rider, serious recreational club rider, elite or professional athlete, road or mountain, it all starts with finding the best position possible for you. Once you are comfortable, then and only then can performance be optimized.We believe that a person’s bicycle when fitted correctly should feel like an extension of their own body, the perfect union between Rider and Machine. You should feel comfortable, safe, balanced, strong and always in control. We at FITT 1ST want you to understand your bike fit, that's why we take the extra time to actively involve you in all aspects of the procedure. This way we establish quality communication and feedback. Our fitting process was developed by the leaders and pioneers in this industry, taught at the SICI Institute to the TOP FITTERS IN THE WORLD. Although our system uses well established scientific criteria as its base we add a very “Rider Centric “ component to our fit procedure by establishing a thorough personalized profile of the rider themselves. 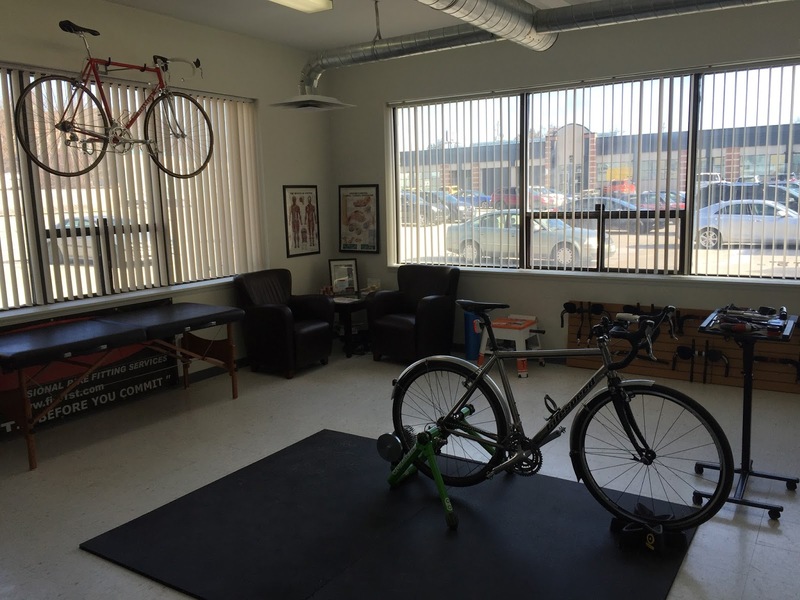 There are no “quick fixes” if a bike fit is done correctly, and that is why our fits are very comprehensive. Whether you are a pro athlete or a daily commuter, the process remains the same and is equally important for all. 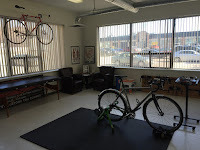 By the time your fit is complete you should not only feel totally satisfied with your new position, you will also have a much greater knowledge and better understanding of how your body and your bicycle work together. You and the bicycle become one. This is how the cycling experience is maximized. The fit begins with an extensive interview to establish a personal blueprint of the uniqueness you bring to the bike. We will gather information about your life off the bike that relates directly to your comfort, efficiency and power on the bike. Lifestyle, fitness level, riding experience, prior injuries, surgeries and current physical concerns all play an important role in determining your ideal position. This is a very important aspect of the bike fit and absolutely essential for any rider who uses a clipped in pedal system. The interface between the foot, shoe, cleat and pedal is where it all begins. This is where all your power and efficiency originates. This is also the source for the majority of foot, knee, hip and sometimes lower back issues that we encounter. Foot size and shape, degree of pronation, arch type, length and height, forefoot and posterior foot varus and valgas and metatarsal support are all evaluated here. Everyone has a unique body structure, determined by genetics, how we live our lives, and even what we do for a living. A person who sits in front of a computer all day will have a much different range of motion and flexibility than the fitness trainer, even if they were born identical twins. Chances are they would not be comfortable in the same position on the bike as well. Postural alignment, leg length differences, pelvic asymmetries, spinal flexibility, hamstring flexibility, and hip flexion range of motion, IT bands and internal hip flexors will all be assessed. Everything we do on the bike is to ensure that the bike fits you. It makes more sense to change a stem, saddle position or handle bar position than to force one's body into a position that is unnatural. This process will result in a position that accommodates all of your natural bio-mechanics, removing excess pressure on all your joints. Foot stability, cleat alignment, ankling pattern, knee tracking, pelvic angle, upper body alignment, arm and hand positions will all be optimized to ensure that you will be riding safely and comfortably for your current skill and fitness level. We will be asking for your feedback continually through this phase. We will do our best to adapt your existing equipment to you. However there may be changes that we will recommend to you. A new handlebar with shallower reach and drop to accommodate your arm and hand position, a different saddle that fits your body and riding style better or something as small as adding a wedge to one of your cleats. Any one of these small changes can make a world of difference in your ability to enjoy, perform well and ride safely on the bike. If your bike is just the wrong size and or geometry for you, we will tell you so, and give you advice on what manufacturers makes, models and size would be a much better fit for you and your style of riding. All of your data will be recorded, so that you will have a permanent record of all the key bike measurements. Shorter and chillier days are upon us and the regular outdoor road season is winding down. Have no fear the Cross season is starting to ramp up and the Fall offers some of the best off road riding of the year. If you like to ride right in to the first snows of the season Good for you. If not the Indoor training season is just around the corner and now is the time to look after all those nagging issues on the bike that you have been putting off all season. 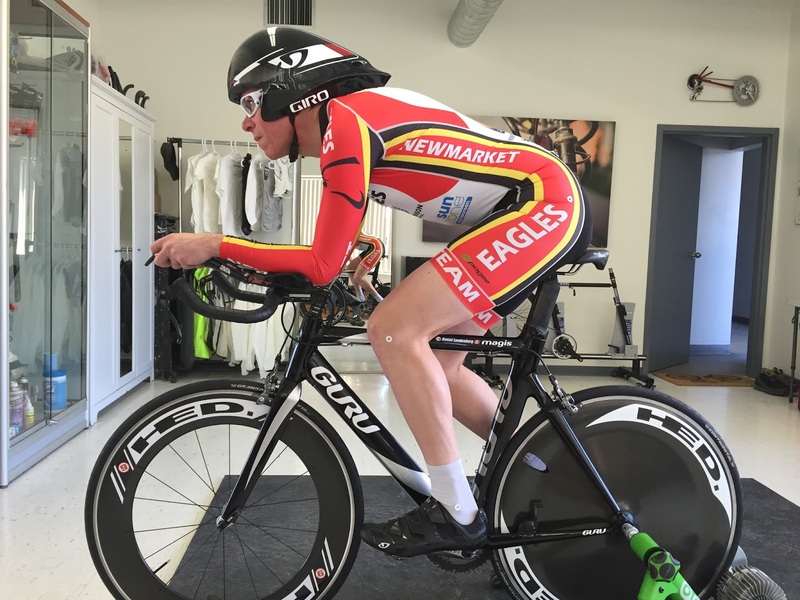 The upcoming 4 to 5 months of training on an indoor trainer is not our favorite thing to do, however it is a necessary evil to prepare for the next season. 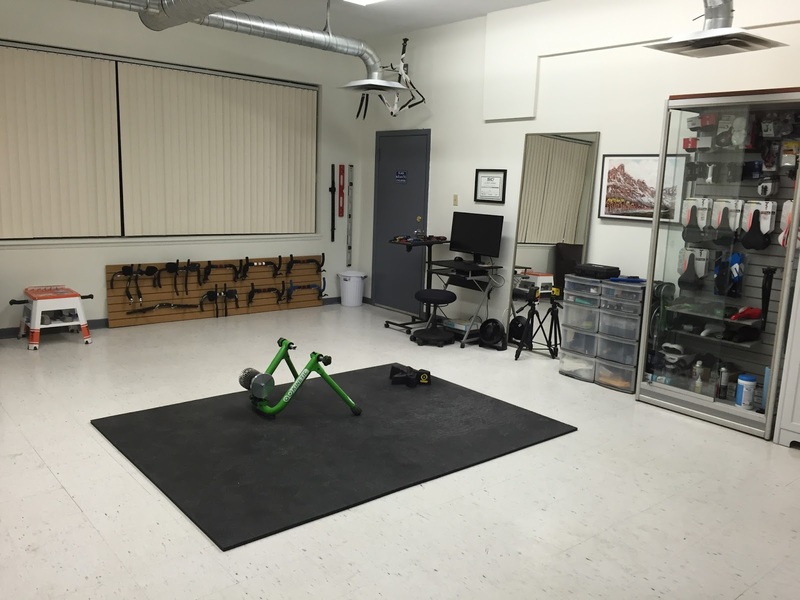 Indoor training is harder on the body than riding outside because it is such a static position. For that reason little niggles in our position when riding outside become much larger issues on the trainer inside. GET FIT NOW... build all your muscle memory in the correct position for the next 4 months and be stronger, faster, comfortable and more efficient on the first day you ride outside next Spring. We just headed in to February and most of us are thinking that there is still a good eight weeks of winter left. That's the Pessimist's way of looking at things. Now the Optimist's way of looking at things... I still have eight weeks left of good indoor or outdoor (character building) training left before my first outdoor ride of the Spring season. These next eight weeks are very important in other ways as well, especially if you are looking to buy a new bike this Spring. The Toronto Bike Show is just over a month away running from Mar 3 - 5th 2017 at the Better Living Centre at Exhibition Place in Toronto and can be a great place to buy a bike, with dozens of retailer's competing for your business. Shopping at the Bike show for a new bike can be either an exhaustive, stressful experience or a relaxing, pleasurable one. If you know this ahead of time then shopping for a new bike becomes FUN!! By getting a sizing cycle fit done prior to your purchase you will know exactly what you need to know to purchase your bike with confidence and not have to change or upgrade any parts afterwards at big costs. You will also learn how to read bicycle geometry charts, so that you can be better informed on how to compare different Manufacturers bikes. You can take your time to research different bikes over the next month. the process takes about 1.5 hrs and the cost is $139.00. A cost you will more than recover with the money you will save from your enhanced negotiating position and most importantly not end up with a bike that doesn't fit you properly and ultimately have to replace it at considerable expense. One brands size 54 is not necessarily the same as another brands size 54 and how does a size XXS or XL fit in the overall picture. So if a new bike is in the cards for you this Spring year or you are thinking of buying one for a significant other, Have a sizing cycle fit done and spend your hard earned $$ wisely. 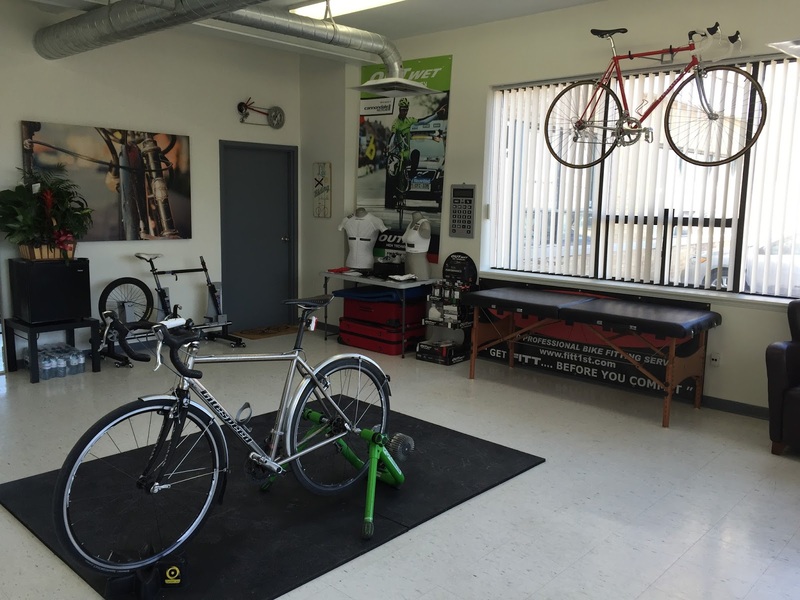 After you have bought your new bike, you should consider having a full bike fit done as well. That's where all the real benefits are realized. Once you get to 1450 O'Connor Dr. turn in to the driveway immediately south of Tim Horton's.You will go past a Guardian Drug store on the left and the Tim Horton's on the right and straight ahead you will see 1450 O'Connor Dr Building 2 in behind. My unit is located on the far left hand side of Building 2 on the main floor. Enter through the double doors on the far left side of the building and I am the first door on the left. You will be able to see the FITT 1ST. com decals on the windows of my unit from the parking lot. The new location has an abundance of natural light and plenty of FREE parking right outside the door. Bring your friends, hope to see you all, and if I don't have a great cycling season in 2016. Exciting news, I'm moving my studio to a new location in the City, Plenty of free parking, YEAH!! and a lot more convenient location for all my clients. I think you will like it. The Toronto International Bike show is just a little over a month away and I think I've only shoveled snow once so far. My bike has barely gotten dirty on my commutes to and from the studio and I still have my regular tires on. Not like last year where I was cleaning the bike every day and using studded tires for most of Jan, Feb and Mar. No more guessing whether the bike is right for you when the retailer is putting pressure on you to buy that great deal. 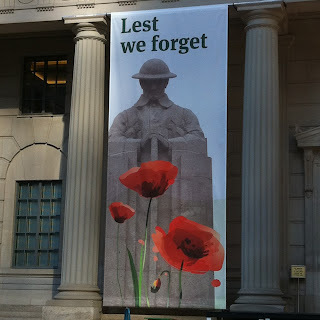 On my way to the studio this morning, I rode past the Manufacturer's Life Insurance building in Toronto and was very emotionally moved by what I saw. . 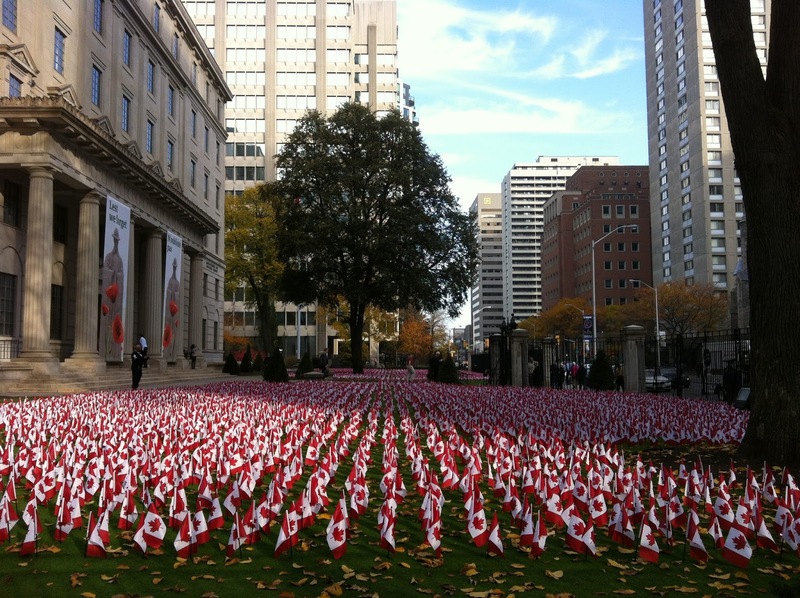 There are 11,483 Canadian flags on the front lawn of this building and were planted as a gesture of thanks and remembrance for all of Canada's fallen soldiers since the days of the Boar war up until the present. 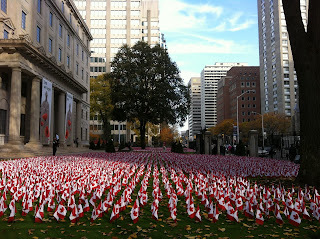 They are a tribute to our fallen heroes and their families whose sacrifices for our freedom will never be forgotten. It's been a while since you helped me with my track bike set up. But since you got me set up in a much more comfortable and aggressive set up, things feel much better. So much so that last weekend I managed 2 silver medals at the National championships in Masters A. 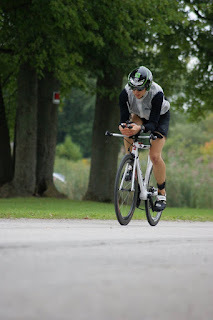 Looking back on my racing this year over last, I realize just how much I was cutting off my diaphragm and limiting my breathing in my old set up. 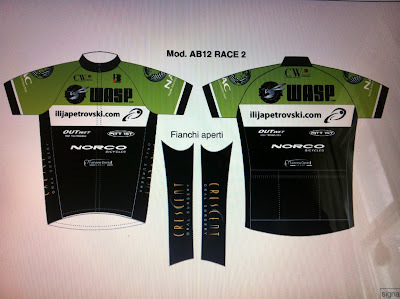 With your help and sponsorship to the team this year I was able to reach my potential, so thank you for that. I have been telling a few riders at the track about the work you did with my set up and I couldn't be happier with it. Hopefully you get a few new track bike setups as a result. Any ways thank you again for your help and let me know if you want any testimonial or content for your website. I'd be happy to help since you have helped me so much. Took the bike out a couple of times now. Wow what a difference. Bye bye neck strain (for the most part), and the lower back issue I was having is gone. I used to get off the bike after 40k and be bent over, because it was too painful to straighten my back at first. Now I simply get off the bike, and my back does not feel tight. Definitely a big improvement in general. I am looking forward to getting those before and after adjustment sheets you mentioned, as I now am hooked on to the power of proper fitting. I went on a 1.5h loop up Royal York that I like to do in the mornings. It was magical! Not even a trace of pain in my knee or anywhere else for that matter. I feel very connected to the bike and all that stuff people always say, but what I couldn’t really tell during our session was how much better my spin is. As you know, I ride fixed gear, descending is so fluid now. I always used to feel like I was fighting the bike trying not to bounce during fast spins, now it feels like the air is all that’s holding me back. Spinning is the best part of riding fixed gear on the road and now thanks to you my spin has gotten 10 times better! Finally, another aspect that wasn’t so clear during the session is how much better being out of the saddle feels now. I guess with the longer stem and improvements you did with my feet, whatever the case, it feels very natural to be out of the saddle now, I’m not fighting the bike all the time and straining to move my feet into the right position. I’m looking forward to finally be able to get into the season and start bringing on the hours again! The answer to this question is very simple, get a Sizing Fitt done before you purchase and it could save you up to the value of your entire purchase. As a professional bike fitter, I see a lot of cyclists of all levels of ability and discipline and one comment comes up more often than any other. "I wish I had come to see you before I bought my bike, It would have saved me a lot of hassle and money"
Some were riding bikes that were not even close to the right size for them and had to purchase a new bike before I could fit them properly. If they had come to have a sizing cycle fitt done beforehand, they would have saved themselves the entire cost of the new bike. Saddles that feel like you are sitting on a bed of nails, handlebars that are way too wide causing all sorts of comfort issues in the upper body. All these issues cost hundreds of $$ to remedy, and you end up with a bike that handles badly and looks like H---. By getting a sizing cycle fitt done prior to your purchase you will know exactly what you need to know to purchase your bike with confidence and not have to change or upgrade any parts afterwards at big costs. So if a new bike is in the cards for you this coming year or you are thinking of buying one for a significant other, Have a sizing cycle fit done and spend your hard earned $$ wisely..
On Friday evening, Sept 18th, Todd set another record at 86.50 mph in ETA. Todd contacted me in January of 2014 because he was having some knee problems that were preventing him from training. I ended up doing a complete refit on his training bike which included a lot of changes to his shoes and feet (see previous posts of Todd's knee tracking before and after his fit.) I also consulted on the design and fitting of the ETA record breaking bike. 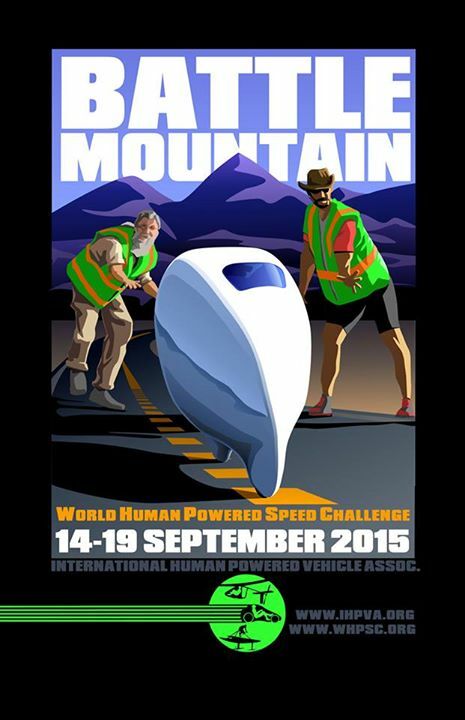 I just wanted to let you know that we've succeeded in crushing the human-powered speed record at 86.65 mph!! I wanted to thank you for all your help and support with the bike fitting last year. 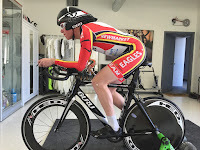 I went through this entire training season without any knee pain on the bike, and I think a huge part of that was due to the fitting work that we did together! 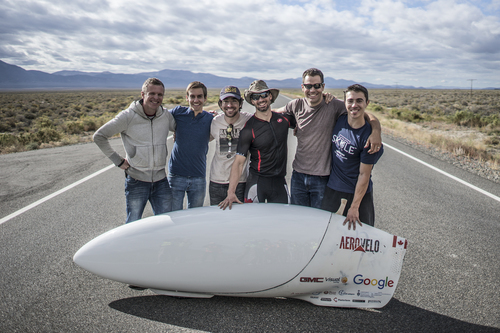 See www.aerovelo.com for more details, and feel free to share our story and images in any of your social media. Welcome back Miranda 5 Races , 5 WINS !! Welcome back to Miranda Tomenson, who returned to racing after a year off due to a knee injury from jamming her knee while running during a half Ironman last Fall. 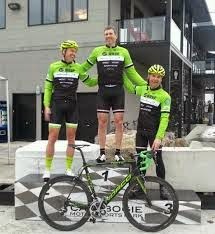 Congratulations to Steve McKee, Justin Rogers and Kevin Davis on finishing 1, 2, 3 in the first O Cup race of the season, at the Calabogie Motorsports Park in Calabogie, Ontario on April 13th. The team worked very well together controlling the race. Kudos go out to Bob Tomsic, Ryan Hodgekinson, Lawrence Akot, Brian Kelly and Derek de Gannes for their important contributions to the results of the team. 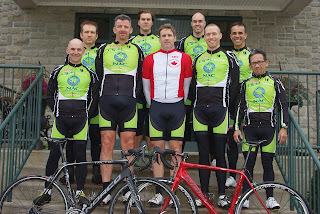 Keep up the excellent results and have a good race on Good Friday in Ancaster ON. This service is for people buying a new bike, and will provide all the info you need to purchase a new bike worry free, You will find out which, sizes, geometries and Manufacturer's bikes fit you best and the ideal components to go on the bike before you buy and will learn how to read and understand bicycle geometry charts . No more guessing or needing to rely on the bike shop staff. Our fitting services are guaranteed for a 60 day period following your fit. 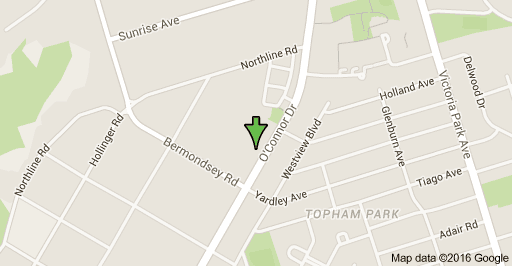 If something doesn't feel quite right, give us a call and we will gladly look after you. *Due to the inherent nature of cycling this guarantee does not apply if client has changed their bike equipment since the fit or incurred injury due to a crash or fall within the period stated above. 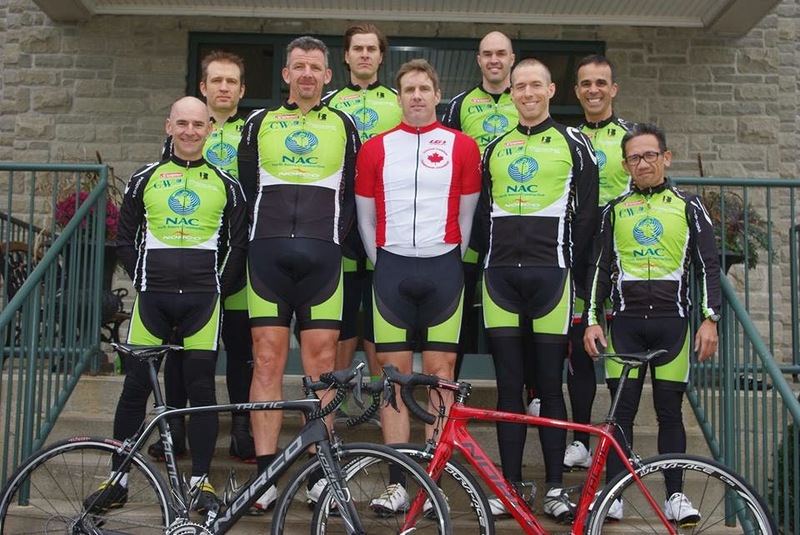 A humanitarian aid project geared to provide good donated racing bicycles and equipment for high school cycling teams in Cuba. Scott Judges...the "Bike Whisperer" FITT 1ST " GET FITT BEFORE YOU COMMIT "
We are Professional Bike Fit Specialist's, with over 16 years of researching all aspects of bike fitting. SICI certified by the Serotta International Cycling Institute, an organization whose primary goal is to optimize the cycling experience for all cyclists on a global level through ADVANCING CYCLING SCIENCE.
" Suspension for your feet "
" The recognised leader in modern saddle design "
Had a great session at The Endurance Lab last night. I had way more power in my pedal stroke. The e soles felt fantastic.The way you adjusted my pedals gave me much more power. Peter came over and increased my wattage a couple of times, and I just had my most recent lactate test a few days ago! I was raving to Peter Oyler about your service. Incredible. Bike Whisperer, I salute you! I rode the bike the next day after the fitting for a couple of hours and it had an immediate impact with my power and comfort. I could turn my neck comfortably during the whole ride after a couple of hours where it had become stiff and painful to turn before...so it's going to improve safety for me when riding solo or a group. I also felt the same at the end as when I did at the beginning in terms of fatigue....muscles got a workout but recovered almost immediately after the ride! I guess I am using my bigger muscles like my glutes now. First of all, thank you so much for your time and attention to detail. I really felt like you were fitting me to the bike and not just making some random adjustments. I felt I was able to learn so much about my bike and the importance of being fit to it properly. Over the past 3 weeks I have found a huge change in my ability to stay in the Aero position, which is greatly important for my Ironman race. 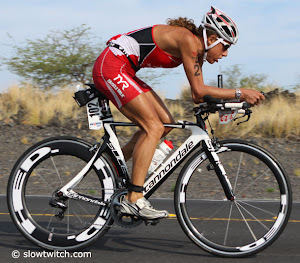 I had been experiencing back pain in my T12 vertebrae and that has subsided due to my better positioning on the bike. I had no idea that there was so much to take into consideration with the way your bike fits you. So many seemingly small adjustments have made huge differences on my comfort and endurance on the bike. You were very good at explaining why you made certain adjustments and how I should be fitted to the bike. that was very reassuring!
" GREAT INFO LINKS "